CARLSBAD — One of the most divisive and controversial measures in the city’s history is still undecided after polls closed on Tuesday night. But after Tuesday’s election regarding Measure A, the opposition held a slim lead of 50.28 percent (16,727 votes) to 49.72 (16,541) with 7,100 provisional ballots still to be counted as of Wednesday. According to Michael Vu of the San Diego County Registrar of Voters, tallies of the provisional and mail-in ballots will be released Thursday and Friday evenings. 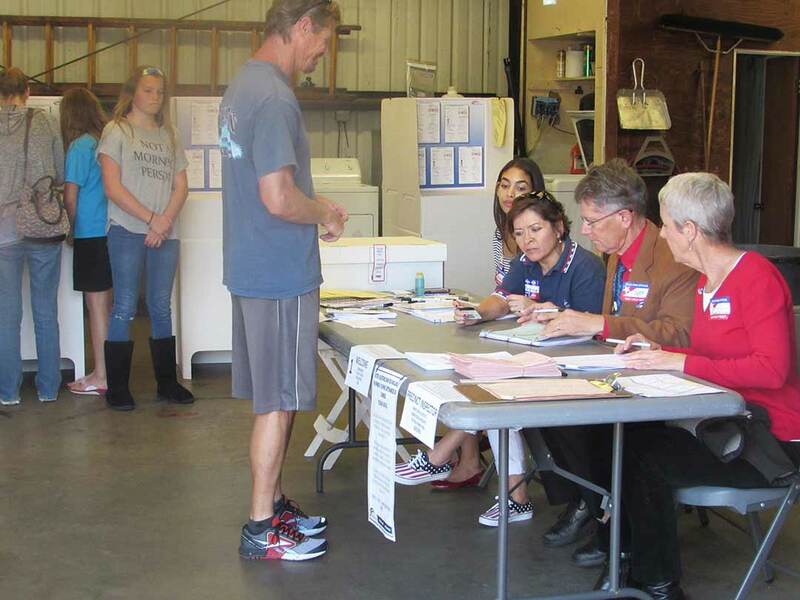 Measure A, otherwise known as the 85/15 plan, also drew one of the largest turnouts for a special election in Carlsbad history as about 63.8 percent, or 40,368 of 63,265 registered voters, cast a ballot. It is one of the largest turnouts in Carlsbad history and one of the largest in years anywhere in the county. The measure called for 26 acres to be developed with a Nordstrom’s-anchored luxury mall with farm-to-table restaurants and an orchard among other amenities on the land. The remaining 177 acres would be dedicated to expanded strawberry farming and opening the open space to residents for hiking trails. Caruso Affiliated, a Los Angeles-based real estate development firm, used a resident-led initiative to get the proposal before the City Council. Opponents slammed those efforts for circumventing the California Environmental Quality Act (CEQA). Activist Cori Schumacher, who has been a vocal leader opposing the measure, said Tuesday night started slow as the first count showed a 9 point deficit. Slowly, the opposition trimmed the lead and overcame about a 2,200-vote gap by about 11:30 p.m.
A message was left with Citizens for North County President De’Anne Weimer, who was instrumental in organizing the grassroots organization. Nevertheless, the City Council unanimously approved the plan in August 2015, but a successful referendum by the resident group Citizens for North County (CNC) led to placing the measure on the ballot. The council voted in November to conduct a special election at an estimated cost between $450,000 to $550,000. From there on, each campaign ramped up its presence in the city. Caruso Affiliated spent about $10.5 million over the past year including more than $5 million since November. CNC, meanwhile, was a grassroots group of residents with virtually no money to counter Caruso Affiliated. In December, however, the Westfield Corporation, which sold its stake in the Carlsbad Mall just weeks before, donated $75,000 to the group to combat Caruso Affiliated’s efforts. Still, Caruso Affiliated used its money to send mailers, buy TV ads and other means of mass communication, while CNC used social media as its primary tool of spreading the word to vote no. As the days to the election dwindled, accusations from both sides flew as signs were torn down or defaced, along with verbal sparring and even property damage. Although tensions ran high, the City Council said keeping an open dialogue about the city’s future is critical. “This election has clearly demonstrated how strongly our residents value Carlsbad’s excellent quality of life and community character. While we sometimes have different ideas about what is best for Carlsbad’s future, we all share a deep love and commitment to our city,” said a statement from the council. “As we await the final election results, we remain committed to working with residents on all sides of this issue so we can better understand each other’s perspectives and use that understanding to make sure Carlsbad remains a place we are all proud to call home. While the votes continue to be counted, there are several possibilities on whether Measure A passes or fails. According to Kristina Ray, communications manager for the city, if the measure passes it still faces litigation in Superior Court in the case of North County Advocates versus the city of Carlsbad, which was filed on Oct. 27, 2015 and seeks to overturn approval of the plan. Also, the California Coastal Commission must take action on the Local Coastal Plan Amendment application from the city and the Coastal Development Permit application from Caruso Affiliated. If approved by the commission, Caurso Affiliated will submit plans to the city for review, and if approved by the city, permits and construction begins. If the measure is defeated, the ordinance approving the plan will be rescinded in 10 days following the election by the City Council. The land would remain as it did before the election, with visitor-serving commercial development allowed on 26 acres and the 177 would be designated for open space. However, Caruso Affiliated, at any time, could resubmit its 85/15 plan, or another, to the city through the traditional development process, which includes California Environmental Quality Act analysis and review by the Coastal Commission. The City Council, meanwhile, cannot approve an ordinance for the 85/15 plan for 12 months following its certification of the election results. 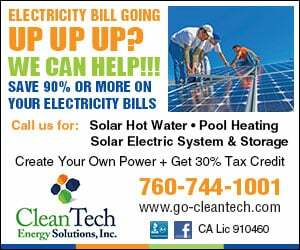 Finally, if Caruso Affiliated terminates its agreement contract with San Diego Gas & Electric (which owns the land) to purchase the site, another party may buy any or all of the property at the discretion of SDG&E.